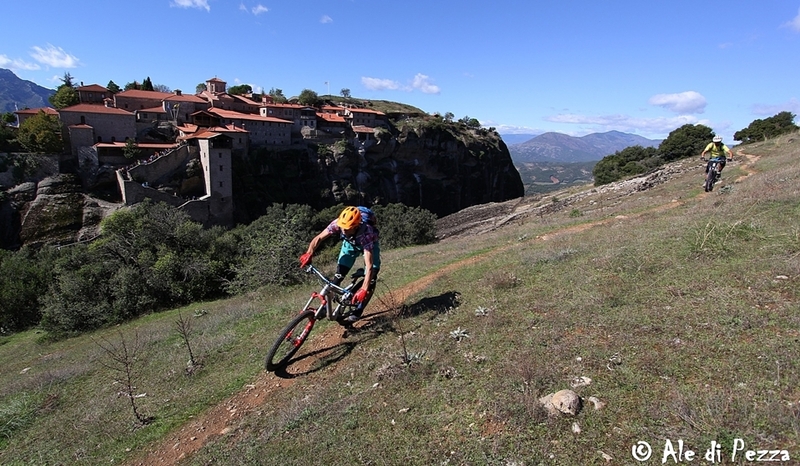 Enjoy a breath-taking MTB day tour and explore the hidden treasures of Meteora through some fine single tracks and dirt roads! 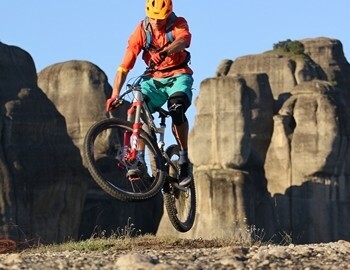 Meteora MTB day tours: Mountain biking in the unique region of Meteora will bring you closer to the natural wonders and cultural treasures of this UNESCO protected area. 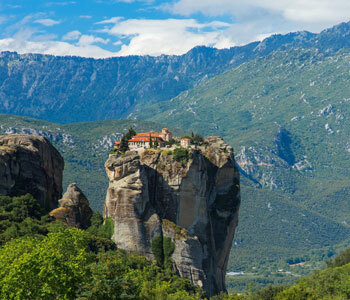 It is the best way to discover the spectacular landscape with its towering sandstone columns enthroned by the exceptional Greek-Orthodox monasteries. Meteoraebike.com offers fantastic guided tours with certified MTB guides who will take you along the region's best single tracks to incredible vantage points. Believe us, it would be a bad day to forget your camera! 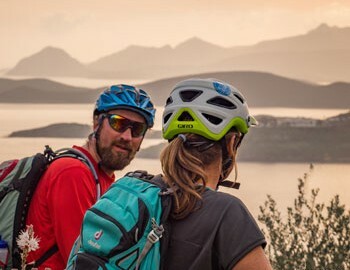 Your guide will provide you with tips and instructions about mountain biking techniques along the way and will also have interesting stories to tell about the tradition, history and landmarks you see along the ride. 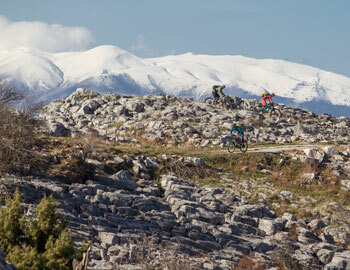 The tours are offered daily and start at 9 am from the meteoraebike.com base in the center of Kalambaka. 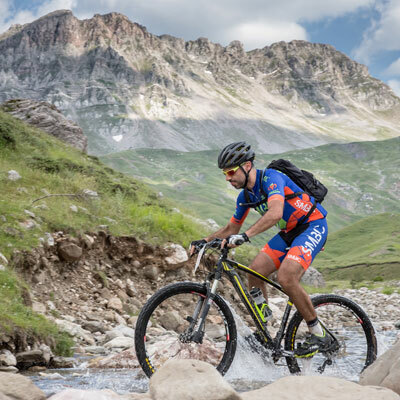 Once on your bike, you will find yourself, within minutes, on a beautiful trail enjoying unique sceneries of the most amazing nature. 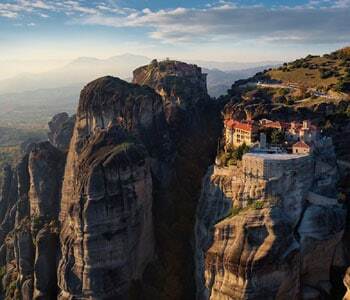 Discover the monastery of Ypapanti constructed inside a large cavity of a rock; considered to be one of the hidden gems of Meteora. The statue of the local hero Efthimios Vlahavas stands nearby, a monument as a reminder to all of the Greek war of independence and the long history of the area. 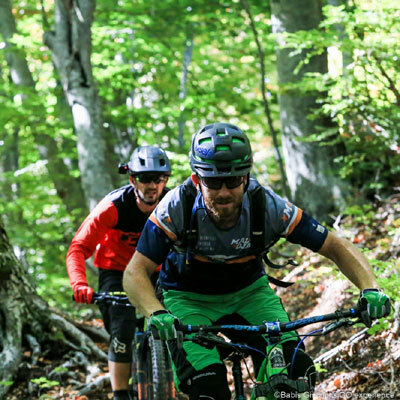 Whether you’re a first-time mountain biker or a skilled thrill-seeker, embarking on this biking adventure through the trails of Meteora, it’s more than certain that this tour will leave you with the most beautiful, everlasting memories! 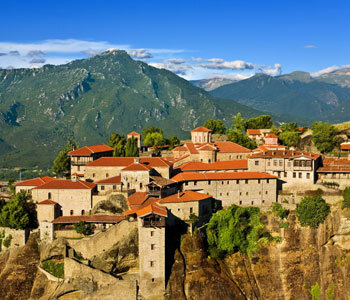 Biking in Meteora, amongst one of the most awe-inspiring geological phenomenon on the planet, truly is a once in a lifetime experience that you don’t want to miss. 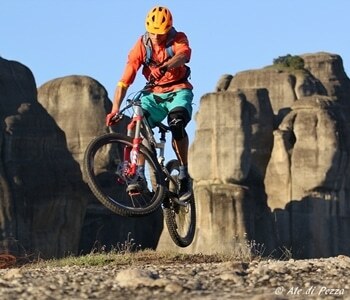 If you want to join a guided MTB tour in Meteora, please send an email to info@meteoraebike.com or give a call to the team: +30 6942 597919. This tour requires a minimum number of 2 passengers to operate. There is a possibility that the tour may be canceled after confirmation if there are not enough riders to meet requirements. In the event of this occurring, you will be offered an alternative activity or be refunded in full. Do you want more? Than think about a tailor-made tour! 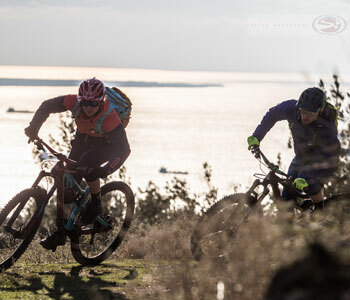 We can plan an exclusive mountain bike ride just for you and your buddies with your desired level of difficulty (XC, ENDURO or DH style), preferred duration, and specific locations. From a short tour to a day full of riding or even a multi-day trip to different riding destinations. Send us your request and we will start planning your next dream riding adventure! 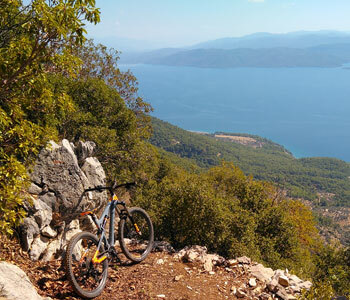 Guided / Day-Tours / Cross-Country: Discover the beautiful trails around Bodrum on a guided mountain bike day-tour by Cycle Turkey! 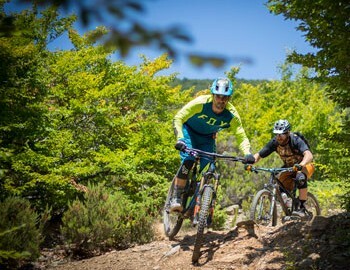 Guided MTB day-tours in Bodrum: The area around Bodrum is not only rich in history, but also rich in fantastic trails, which you can discover on two wheels on the guided cross-country day tours by Cycle Turkey. 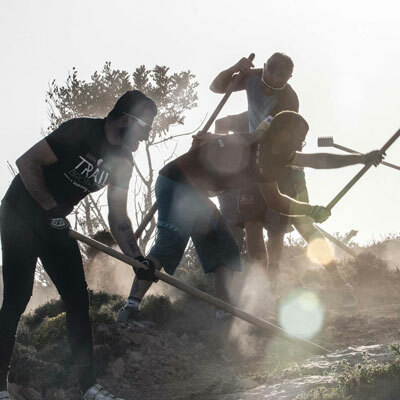 From natural paths to newly built trails – from technical demanding to great flow lines. The terrain is diversified and offers it all. 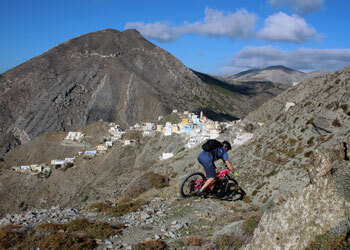 The tours can easily be customized according to the bike skills of the group. All tours are accompanied by a local guide, fluent in multiple languages and at home in the region. During the ride your guides brings you closer with the surroundings with wit and charm. Be it in form of a crash course in how to find your way out of a local bazaar, or following in the footsteps of the siege of Bodrum (the ancient Halicarnassus) by Alexander the Great. 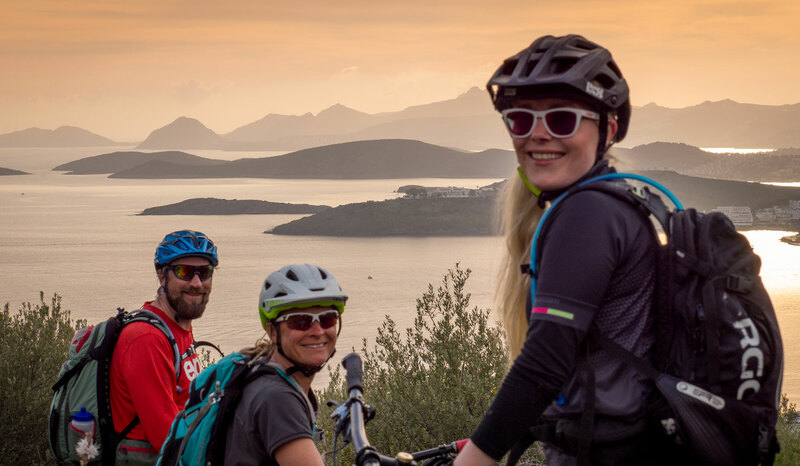 The day trips usually start in the morning with a transfer from your hotel in Bodrum to the starting point of the tour, where you also get your rental bike and other equipment. You can also combine the tours with a biking vacation on the Greek island of Kos, which is just a short ferry ride away from Bodrum. Just send a request by email to: info@cycleturkey.bike to arrange your tour! 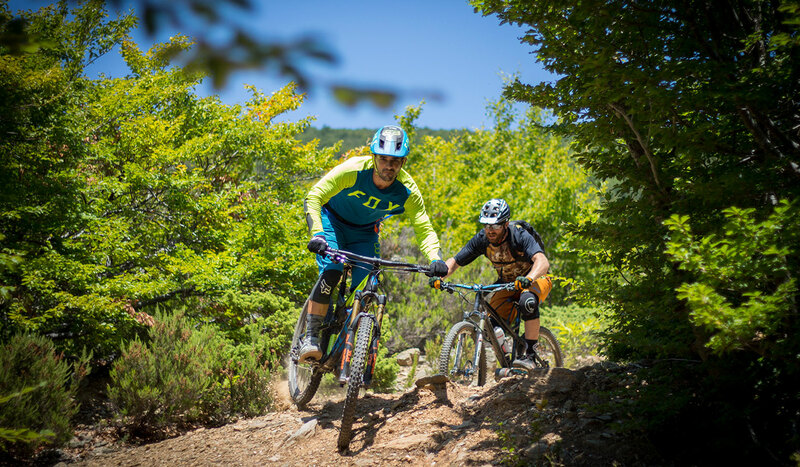 Guided / Day-Tour / From Cross-Country to All Mountain and Enduro: Explore Thessaloniki and its surrounding with Outline Adventures! 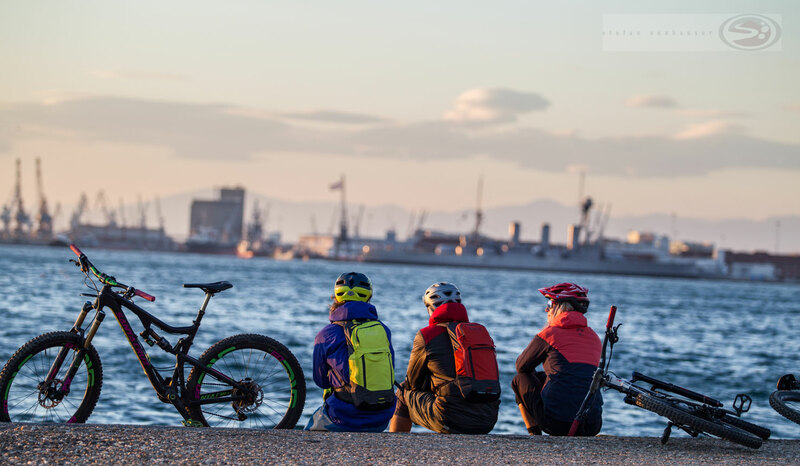 Thessaloniki MTB day tours: Mountain biking at the beautiful city of Thessaloniki, home of Outline Adventures with great trails around for all level of mountain bikers. Come and join us for a ride to experience a whole different aspect of this splendid and well known Mediterranean city break destination. Thessaloniki offers lots of historical monuments, a great shopping centre and some notorious bars and restaurants. 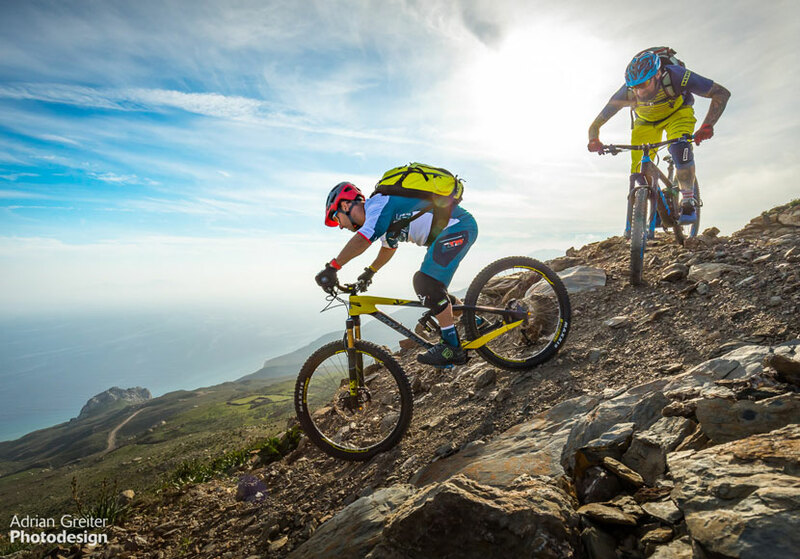 Outline Adventures offers a variety of daily mountain bike tours, depending your level and the kind of biking you prefer. Rental bikes are available on request. The day tours are basically tailor-made rides, depending your ride preference and activity level. 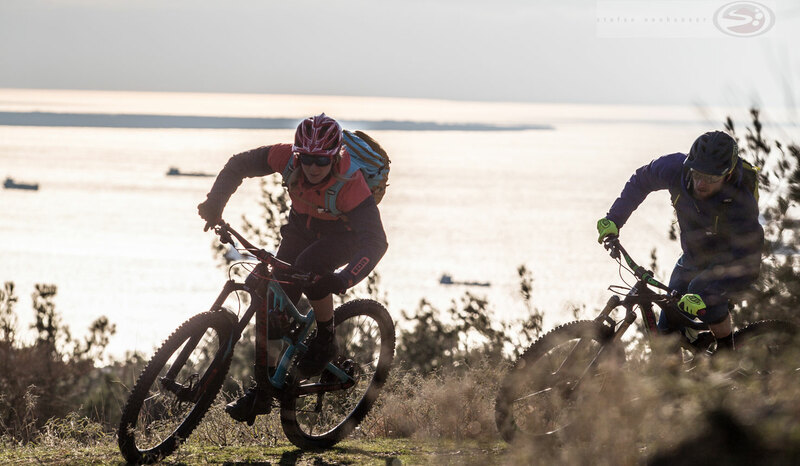 Nevertheless there are four basic ways of how we will enjoy the ride at the suburban forest and the trails around Thessaloniki. 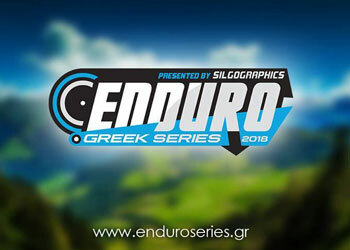 Guided / Day Tour / Enduro: Epic riding in the woods above the city of Athens. 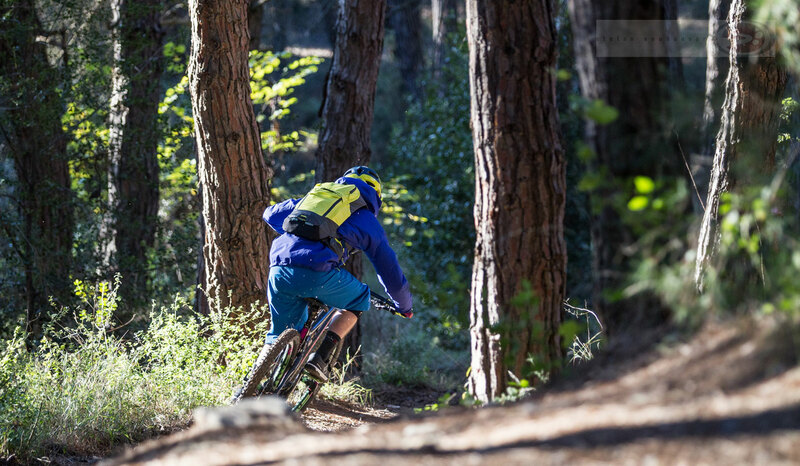 A mountain biker’s paradise – so close to the city, but yet so far away! 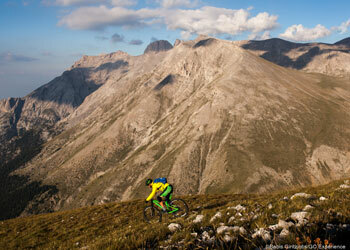 Mount Parnitha Day Tour : Mount Parnitha is the best destination for mountain biking around Athens. So close to the city, but yet so far, in the woods just 20 km from the city center! From deep forests to amazing city views and back to the forest! You will love the city of Athens anyway, but you will love it even more seeing it from above. Our mini bus comes and gets you from your preferred meeting point at Athens city. The next stop is at Mt. Parnitha at the beginning of the paths that lead us through the dense forest. We will start our ride from 1000 m altitude, followed by short climbs and beautiful trails going down. Maximum off-road and trail fun are guaranteed on this route: Varied underground, often rocky, technically demanding, but flowing trails too. 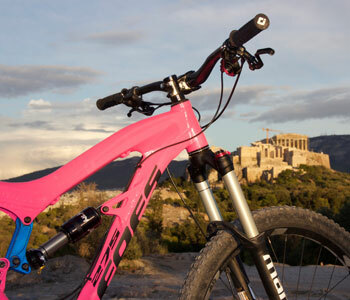 If you want to decide on an epic riding day during your holidays in or around Athens this guided day trip is the best choice. 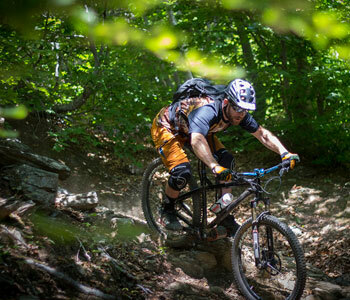 This trip is a guided trip with qualified mountain bike guides who will lead you safely through the surrounding of Athens. 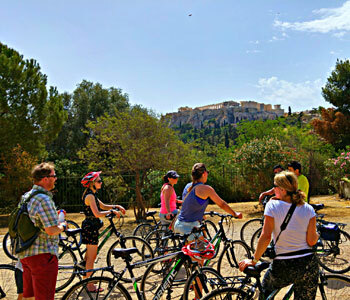 The tour price of 85 euro per person is valid from 5 participants on and includes transportation from your hotel in Athens and back, guiding and snacks (for less participants the operation of the day tour is possible on request, but prices will vary). 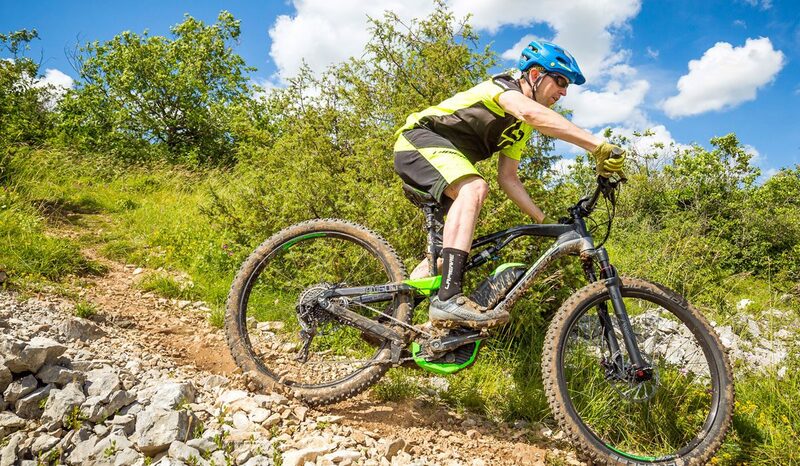 High quality full suspension mountain bikes can be rented for a daily price of 35 euro/bike.